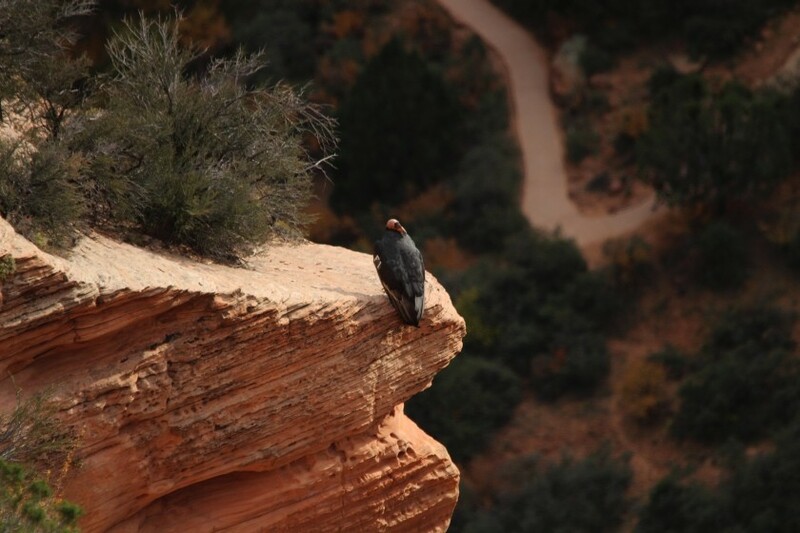 2013-10-23 While climbing to the top of Angel's Landing, I heard a few people mention seeing a California Condor at the top. When I got to the top, the condor had already flown off. Luckily, someone else had spotted him halfway down the south face of Angel's Landing and I managed to get some pictures! Zion National Park, Utah.